The Darien Foundation has demonstrated that it is the “go-to” funding source for projects that enhance the Darien community. 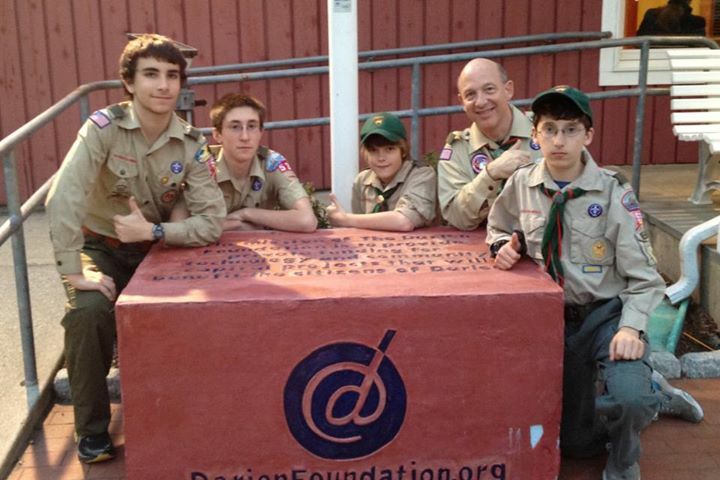 Since its founding in 1998, the Foundation has provided over $3 million in grants to the Darien Public Schools, Darien emergency services and many of the town’s community organizations. The initial funding for the Foundation was provided by several founding families and a generous $500,000 donation from Maureen and Richard Chilton. Richard, now Chairman Emeritus, was its first Chairman. The Foundation is governed by a volunteer Board of Directors and Officers which is currently chaired by Ward Glassmeyer, a lifelong Darien resident. Grant decisions are made at monthly Board meetings where organizations will frequently present their requests. The requests are thoroughly reviewed and researched by the Board and decisions are usually made within one to two months. A popular yearly fundraising gala and an annual appeal provide the funds for the grant awards. The Foundation’s minimal operating costs are covered by Board members’ and officers’ contributions.